The Choir of St Mary’s Church in Nottingham’s Lace Market, which is regarded as one of the finest parish church choirs in the country, has released a new recording of music dedicated to the Virgin Mary. 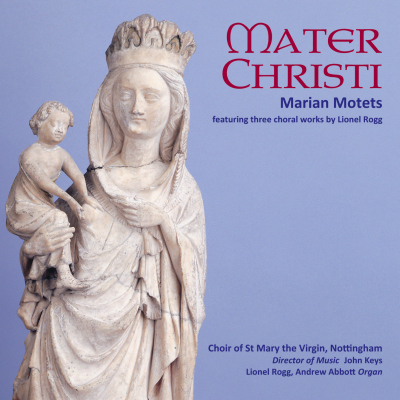 Entitled ‘Mater Christi’ – Mother of Christ – the recording showcases a cross-section of some of the finest liturgical compositions of the late Renaissance period and of the last 150 years. It includes works by composers such as Lassus and Victoria from the 16th Century, through to 20th Century composers Rachmaninov and John Tavener, whose music shot to popularity following the funeral of Diana, Princess of Wales. The recording also features two world premiere recordings of pieces written for and dedicated to St Mary’s Choir by the distinguished Swiss organist Lionel Rogg, who also features on the disc as guest organist. St Mary’s Choir comprises adult volunteer singers together with Choral Scholars from Nottingham’s universities, who receive generous bursaries. The Choir sings three services a week; Wednesday Evensong, Sunday Eucharist and Sunday Evensong. It regularly gives concerts with the Orchestra of the Restoration, St Mary’s resident orchestra. In 2012 the Choir sang at St Paul’s Cathedral in London, making such an impression that it had the rare honour of being invited to return in 2013 to sing a full week’s services, an opportunity usually reserved for professional ensembles when the cathedral’s choir is absent. Recent tours have been undertaken to Germany, Italy and Ireland and the Choir enjoys a long term relationship with the choir of St Egidien in Nuremberg. The Choir has been led by John Keys for over 30 years following his appointment as director of Music at St Mary’s Church in 1984. John, a former organ scholar of New College Oxford, is an acclaimed international organist who regularly gives recitals throughout Europe and further afield. In 2013 he undertook a two month tour of Australia. The recording, produced by Regent Records, was made in the chapel of Worksop College in the summer of 2014. The hustle and bustle of the city centre location of St Mary’s Church is less conducive to recording compared to the remote rural location of Worksop College.